You might have noticed that there are guys who simply seem to attract anyone they want to without even appearing to try. This could happen because of natural charisma, of course, but pheromone products can also help make this happen. 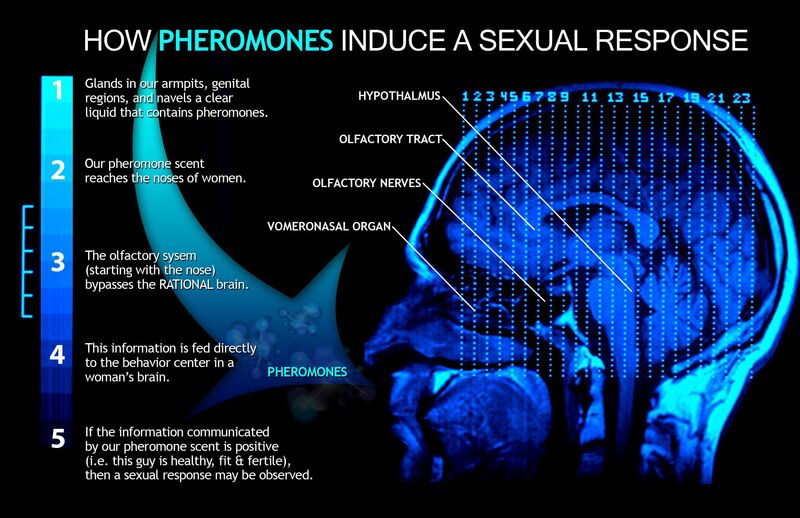 Pheromones can occur naturally or can be applied through specially formulated pheromone products. Some of these products are better than others. Here, we take a look at a new one, Arouse-RX, to determine whether it’s really effective and does what it says is going to do. Not apparent: although the product says that it’s got “25 times the concentration” of active pheromone such that it’s two and half times stronger than the leading product, actual effectiveness and duration are not apparent. Again, the company claims that this is the strongest pheromone product (specially formulated for gay men, as well) available in the United States, but its effectiveness is very, very weak to nonexistent, in actuality. It’s quite expensive, and can be bought for about $100 on the company website or can be had for about $45 on auction sites like eBay, or for about $35 if available at Amazon.com. It may be also be available on other retail a reseller sites. One user said he researched and found this product was the exact same product as Arouse-RX’s product for women; that retails for slightly cheaper, about $32 on eBay or $34 on Amazon.com. That may make some sense, since the pheromone concentration in either product is meant to attract men specifically. The bottom line on its effectiveness, though? It either doesn’t work at all, or works so ineffectively that it’s absolutely not worth your money. There are other much more effective (and less expensive) pheromone products out there. Although this product had promise because it was specifically geared toward gay men, the fact that it’s likely the exact same product as that used by women (and just marketed to gay men as a group) is incredibly disappointing. If that’s true, gay men would be better served simply buying pheromone products that truly are effective in the traditional “women attracting men” category, only specifically to be used as a “men attracting men” pheromone product. That’s assuming, of course, that that would be effective, and the jury is out on that scientifically. This 10 mL product is suitable for mixing with your favorite cologne. You can also simply use it by itself, but it’s probably best mix it with your favorite cologne. This product simply does not work, and appears to be the same product marketed to women who want to attract men. You’ll certainly smell nice if you mix this with your favorite cologne and simply go out and have a good time — and if you want to try this simply to see if it does work for you, maybe wearing a product that names itself as specifically geared toward gay men will give you extra confidence if you want to meet someone. However, a better option may simply be to find another pheromone product that gay friends recommend to you as truly effective.